It seems ‘White water’ was severely edited when it was published in Tina in the Netherlands. 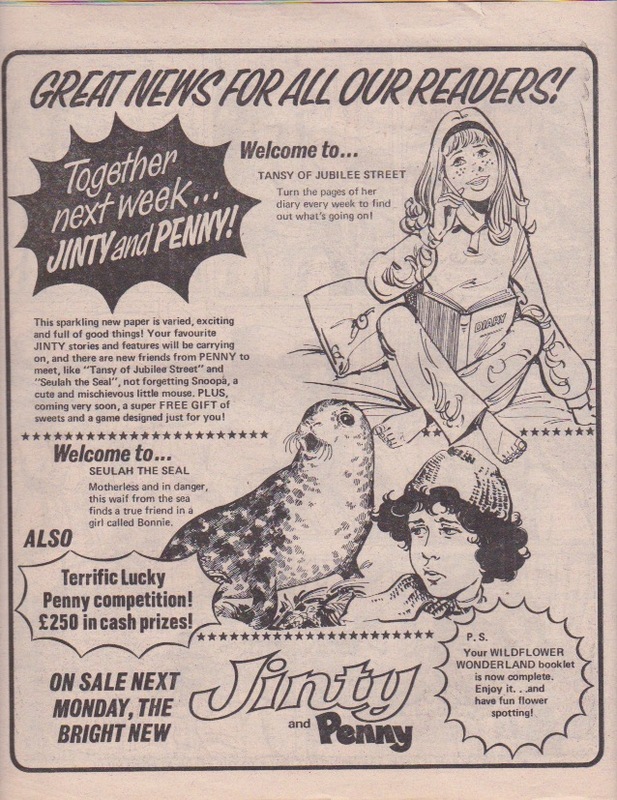 It ran for 18 3-page episodes, while in Jinty it ran for 22 3-page episodes, if I’m correct. 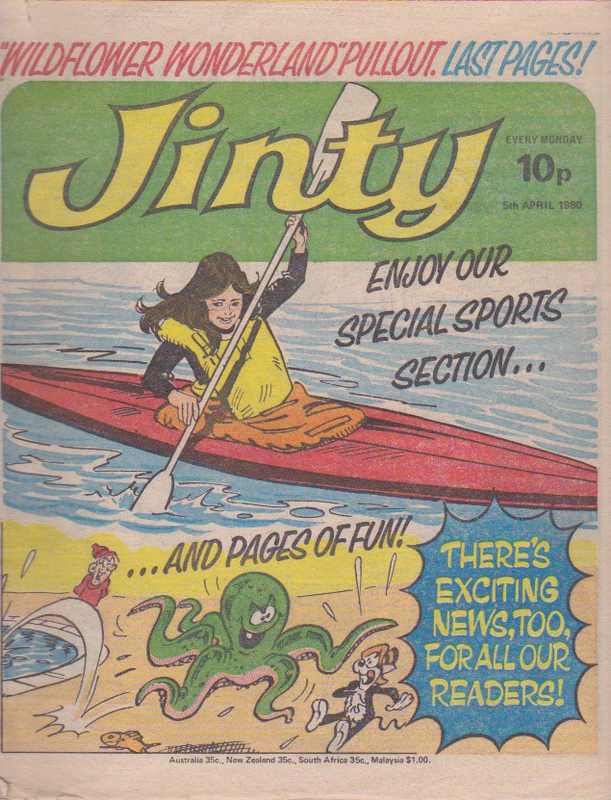 But perhaps not that much is missing; in Jinty each episode had a panel on the first page with the same drawing of Bridie in a canoe, which we did not have over here. So to get rid of that, I guess they had to redo the whole story. I should check it, but my Tinas are not very accessible at the moment. It will be interesting to see what you find when you do review them! Yes, it might be. I never had the idea anything was missing. But to chop 12 pages must have had at least some effect on the story. Or perhaps there were some episodes added because the story was so popular, and those were left out over here. Just like ‘The sea witches’ from Tammy. We had 48 pages in Tina, and in Tammy the story was 56 pages. I read the story at least a dozen times, so when I read it for the first time in English in Tammy a couple of months ago, I was wondering what was missing. It turned out that towards the end there were two complete episodes which don’t really add anything to the story, and may have been produced just because the story was so populair. So it was a wise decision of Tina to leave these out. By the way, I always thought the mother in ‘White water’ looked way too old. I guess Bridie must be around 15-16, but her mother looks like she’s passed 100! You should see the mother in “Two Mothers for Maggie” – also by Baikie. She looks much older! But then that is partly about the hard life that working class women had.